Ladies and Gentlemen, here we have it: the world’s easiest drug arrest. Undercover police arrested a Miami man who was offering “medicinal high grade top shelf” marijuana for sale on Craigslist (the extra qualifications help ensure authenticity). According to the sheriffs’ office, after contacting Silva, the would-be seller agreed to sell the officers an ounce of marijuana for $320, and met the police in the parking lot of a convenience store, where he just handed over the marijuana. In a cop movie, this would have been when the older cop looks around and says, “I don’t like this—it was too easy,” but that was about it. Police promptly arrested Silva. 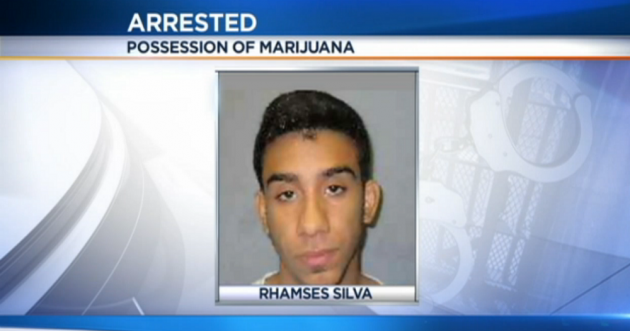 They even found more marijuana and various other drug paraphernalia in Silva’s car.